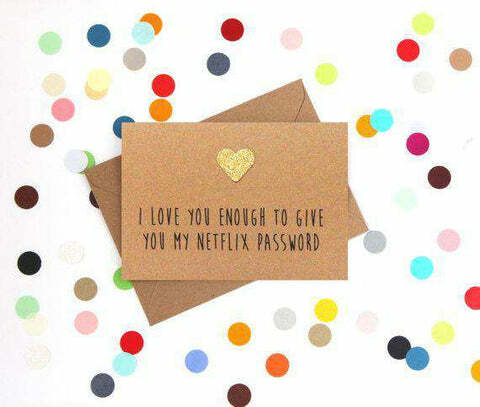 It shows real commitement when your other half shares their Netflix password with you. Show them you love them the same amount with this funny Valentine's Day card. Our cards are A6 size when folded. This card is hand embellished with a gold glitter heart.